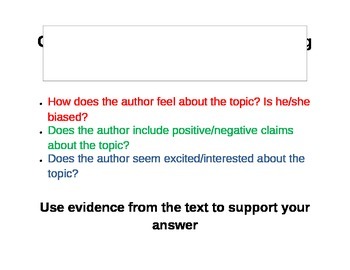 Do your students need some prompting when it comes to determing the author's viewpoint? Use this sheet as an instant support. This is aligned with the 5th and 6th grade common core state standards dealing with determing the author's viewpoint.